The United Nations’ General Assembly’s human rights committee (HRC) voted Tuesday to request that the Security Council refer a case concerning North Korea’s human rights record to the International Criminal Court (ICC) for prosecution. 111 states voted in favor of the resolution, 19 voted against, and 55 abstained. The resolution recommends the prosecution of the North Korean leadership for crimes against humanity. While similar resolutions on human rights have come around in the past, this is the first time the General Assembly explicitly raised the issue of an ICC referral. The resolution will leave the human rights committee and head to the General Assembly plenary session for an additional vote in December. In recent weeks, North Korea has stepped up its diplomacy with major states included Russia and the United States. Some analysts have suggested that the motivation for this “charm offensive” is to prevent an ICC referral emerging from the Security Council. Less than two weeks ago, North Korea suddenly released two U.S. citizens it had held hostage. This week, it has sent Kim Jong-un’s second-in-command to Russia for a series of diplomatic meetings. North Korea’s recent diplomacy with the United States and Russia has come at a time when its relationship with China has deteriorated. China, however, spoke up on the ramifications of the General Assembly vote, noting that it believed that the Security Council was not the appropriate forum for human rights discussions. This might have been out of self-interest as Beijing would prefer to leave human rights issues off the Security Council agenda despite being a veto-wielding permanent member. The ICC, which was set up under the Rome Statute of 1998, has limited jurisdiction, but it can accept cases referred from the U.N. Security Council on a proprio motu basis. This grants the prosecutor of the ICC the power to initiate investigations should the U.N. Security Council refer a case, regardless of the ICC membership status of the state under investigation. 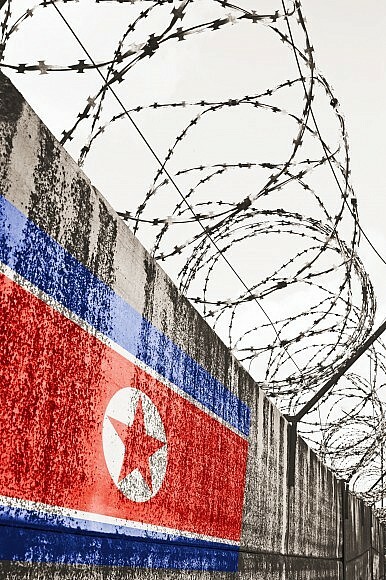 For the ICC, investigating North Korea will present an immense challenge given the regime’s insularity and resistance to multilateral organizations. However, should a Security Council referral emerge, taking this case on would help the court avoid criticism that it exclusively focuses its resources and attention on African despots. Indeed, a large part of the 55 abstaining votes in the HRC vote on North Korea came from African states. What Next for the North Korea Negotiations?North Korea: A Strava PerspectiveIn Liberation Day Speech, South Korea's President Reasserts Importance of THAADUS Student Sentenced to 15 Years Hard Labor in North KoreaDid a North Korean Chemical Weapons Expert Actually Defect to Europe?